Sovaia Vusona of Levuka Public School with the gold medal jump. Sovaia Vusona of Levuka Public School could not hold back her tears afterwinning gold in the Senior Girls Long Jump. 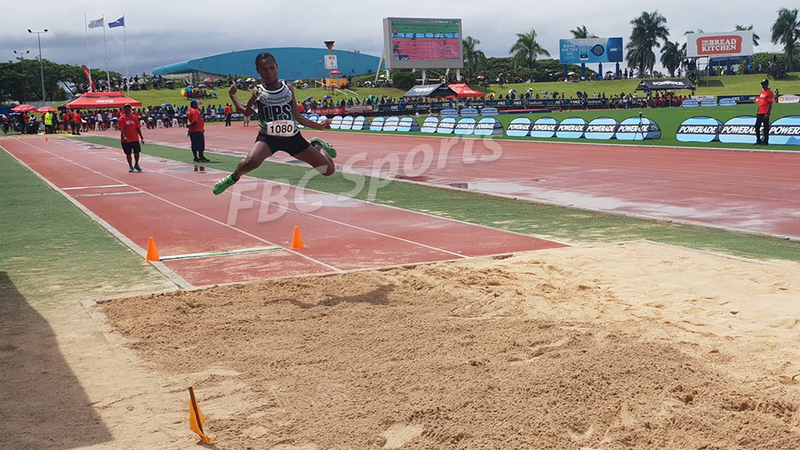 The 17-year-old managed a jump of 5.39 metres in her first attempt at Day One of Coca-Cola Games currently underway at Suva’s ANZ Stadium. Vusona dedicates her win to her late cousin who passed away last month. Vusona also won gold in 2017 in the Junior Girls Long Jump final. 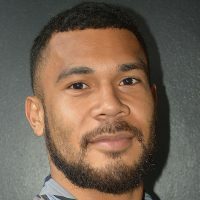 Meanwhile, in the FBC unofficial medal tally, Adi Cakobau School is currently leading the girl’s division with one gold and silver, followed by Xavier College while Nuku College and Levuka Public School have a gold each. 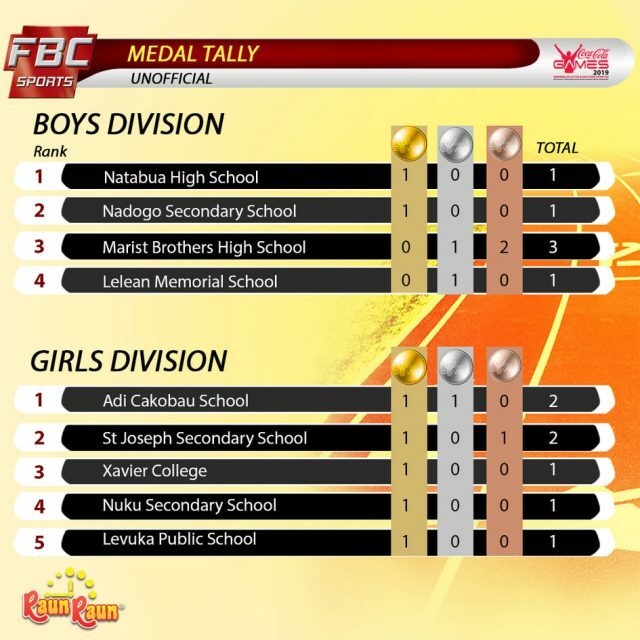 In the boys division, Natabua High School and Nadogo Secondary School are currently leading with one gold each, followed by Marist Brothers High School with two silver and two bronze medals. The competition continues and ends on Thursday.